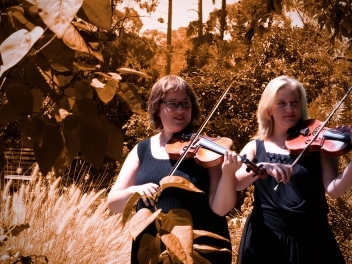 Violino Romantico was formed in 2008 while Felicite and Sarah were studying Music together at the Conservatorium of Music at Melbourne University. While learning about us you will realise that both individually and together we are established performers. 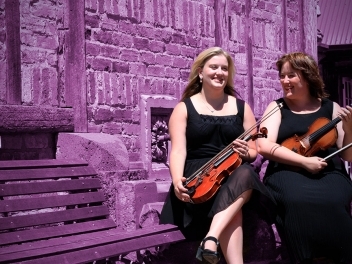 In August of 2009, Violino Romantico won the Olwyn Game award at the Musical Society of Victoria Chamber Music Competition. 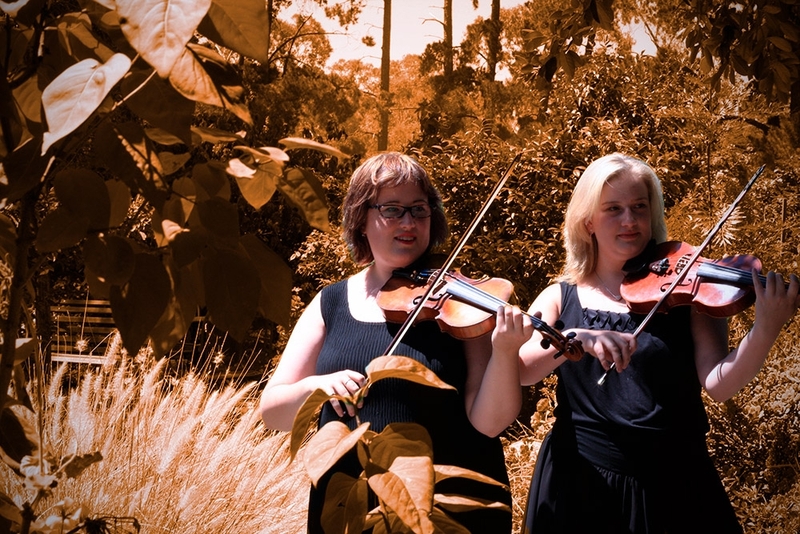 Violino Romantico are proficient in many genres of music and can tailor their repertoire to a variety of functions including weddings, corporate functions and special occasions. 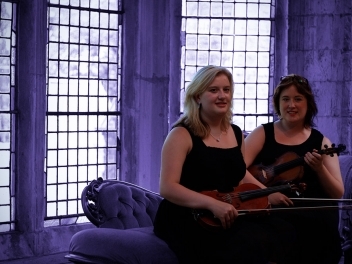 With the addition of a pianist, we are able operate as a duo or a trio and welcome enquiries for both settings. Violino Romantico promise to play the music of the past with a new sense of flair. Felicité Heine is a Masters of Music Performance student at the University of Melbourne. 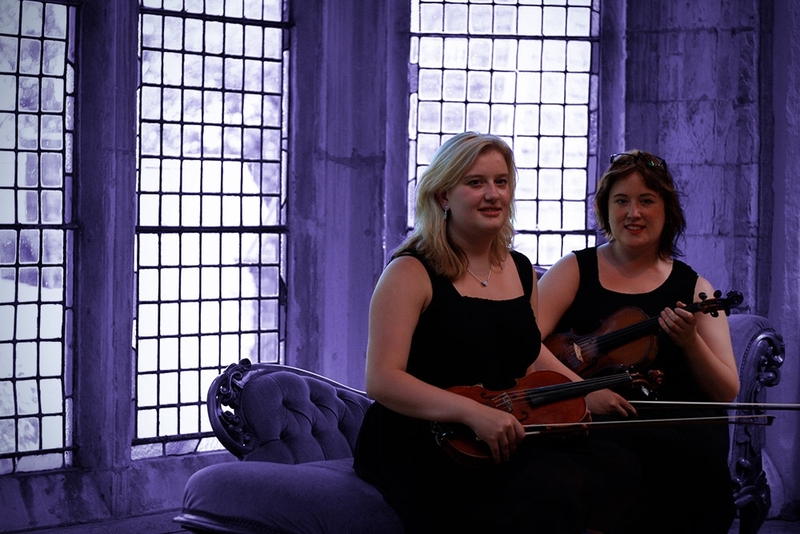 After graduating from her Bachelor of Music in 2004 with teacher Mark Moghilevski, she furthered her study in Baroque Violin under the guidance of Rachael Beesley, Julia Fredersdorff and Julie Hewison. A former recipient of the Alberto Zelman Memorial Scholarship, Felicité is the current concertmaster of The Chamber Strings of Melbourne of which she leads here in Melbourne and Overseas. She has toured overseas with the ensemble four times and has been to Russia, Poland, Greece, Italy, France, Germany, Austria, Estonia, Denmark, The Netherlands and the U.K, and is looking forward to touring again in January 2011 to Spain. Felicité has studied overseas with teachers and performers: Cynthia O’Brien Rames (Vienna), Lorenzo Colitto (Italy), Lucy Van Dael (The Netherlands) and has found that this has been an integral part to her development as a performer. In 2009, she took part in the Woodend Winter Arts Festival as part of the Academia Arcadia Orchestra and subsequently, joined the ensemble again as part of Victorian Opera’s performance of Xerxes at the Melbourne Recital Centre. Felicité is a former member of both the Australian Youth Orchestra and the Melbourne Youth Orchestra and performs regularly with such ensembles as the Royal Melbourne Philharmonic Orchestra, the Amadeus Chamber Orchestra and Melbourne City Opera Orchestra. Sarah Nieuwkerk is a Masters of Music Teaching student at the University of Melbourne. Sarah completed her Bachelor of Music in 2008 where she studied under the tutelage of Elizabeth Sellars and Miwako Abe. Sarah Nieuwkerk started playing the Violin at the age of 3 and received a music scholarship for the duration of her secondary schooling. She undertook a music degree at the University of Melbourne in 2005, performing in various orchestras at both the Conservatorium and the Victorian College of the Arts as well as many chamber music ensembles. Sarah currently teaches Strings at Carey Baptist Grammar where she teaches private students in Violin, Viola and Cello. 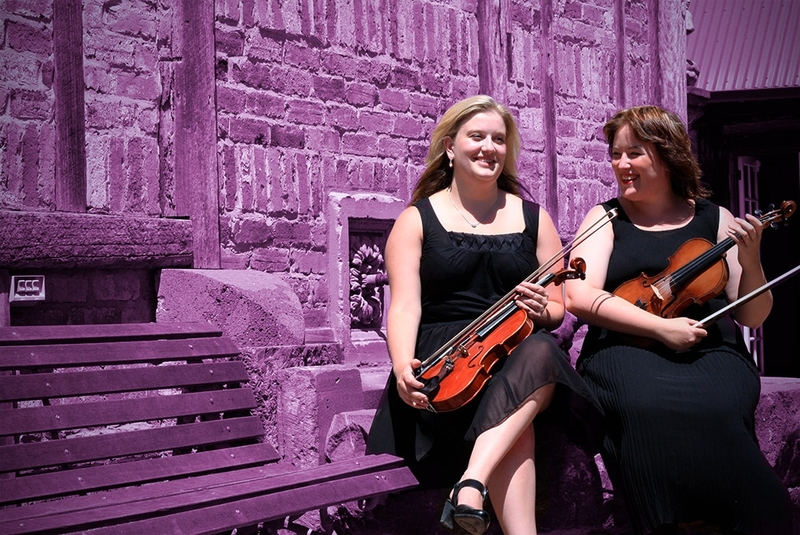 In 2009, her chamber music ensemble won first prize at the Royal South Street competitions in Ballarat. Sarah has also travelled overseas with the Chamber Strings of Melbourne in 2009, performing in the United Kingdom and France. She lead the Chamber Strings of Melbourne orchestra in 2009, for a concert in Bendigo and performed with them as Soloist in Spain and Portugal in 2011. We play music of all kinds, from the classical Mozart and Beethoven, to more modern artists like Elvis Presley, MUSE and Taylor Swift. If you have a favourite song that's not on this list, please contact us and let us know. Selections for Piano and Two Violins is our newest section of repertoire which is constantly expanding. Most of our popular selections can also be customised to a trio setting as well.